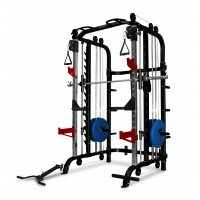 The Bodyworx LX4000SM Smith Cage Combo is our “value for money” home trainer providing you with a gym quality workout at home. 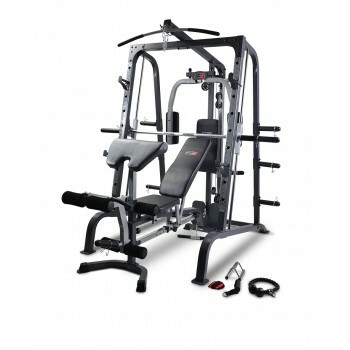 It’s extremely versatile & combines all the benefits of a Smith machine combined with free weight exercises & cable lifting exercises to provide a full body workout. 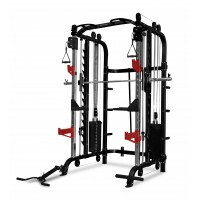 Heavy duty tubing in the main frame provides strength & stability during your workouts. The high density vinyl covered foam upholstery provides support & comfort where you need it. Smith system is running over chrome plated guide rods providing for a smooth action. The fully functional FID bench is included in your package. Fully adjustable backrest & seat pad enabling you to perform a whole variety of strength & core training exercises in comfort. Includes preacher curl handle with pad & full leg developer with contoured foam rollers for comfort & support allows you to perform leg extensions & curls. 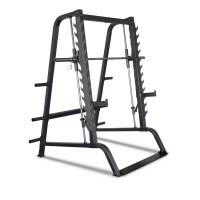 Bar catches provide for added safety & security particularly when lifting heavier weights working out alone at home. 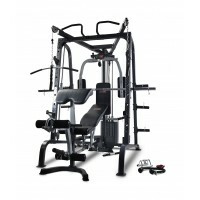 Built in PEC deck allows you to focus in further on your chest development. 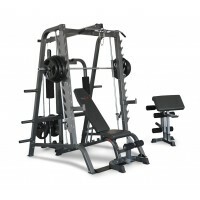 Centrally mounted lat pull down station to focus in on building strength in your upper body. 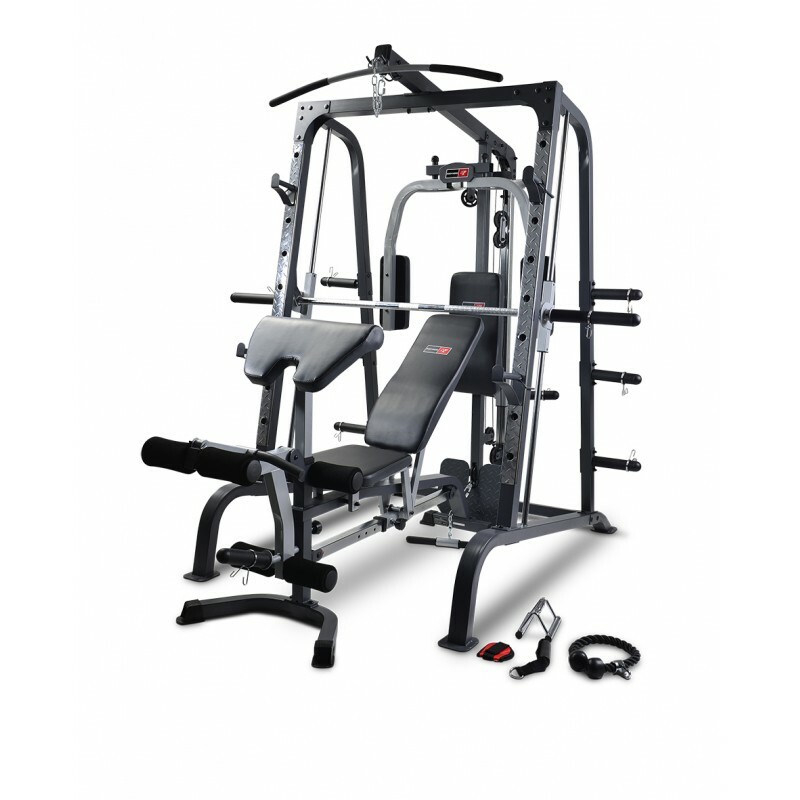 Comes complete with 6 weight plate storage pegs suitable for olympic or standard plates, spring collars, lat & row handles, tricep rope & soft grip. Assembled Dimension: 242cm (L) x 205cm (W) x 219cm (H). Bar Catch: 136 KG (300 LBS). 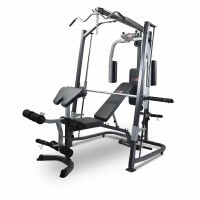 Total Maximum Weight Capacity: 272 KG (600 LBS) Including user’s weight. Leg Developer: 45 KG (99 LBS). Lat Pull/Weight Plate Carriage: 90 KG (198 LBS).